We are at the forefront of the technologies that will not only make today’s processes better, but will shape tomorrow’s. Our designs are always pushing forward with yarn, fabric and design innovation, new fibers, and advanced techniques employed across our global network and supply chain. 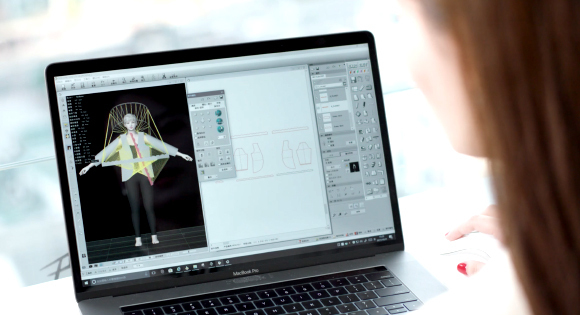 We virtually create 3-D samples, patterns, fabrics and knits while doing virtual fittings through our Shima Seiki SDS-ONE APEX3 system, eliminating waste and decreasing turnaround times. Utilizing data predictors and trend forecasting through our international research field team, we are able to deliver designs specific to each retailer’s needs.